Mrs. Alfonso-Rodríguez’s areas of practice civil and commercial litigation, securities arbitration and intellectual property litigation. 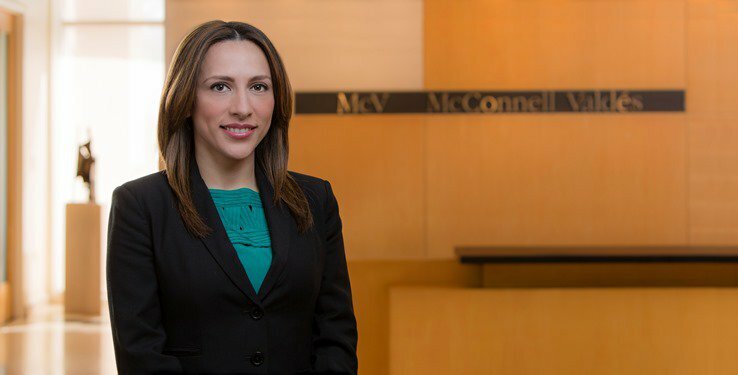 Before joining McConnell Valdés, Mrs. Alfonso-Rodríguez worked on general corporate consultation, including contract negotiation, as well as litigation before administrative and municipal agencies. She was part of the Practice that successfully secured the Court of Appeals for the First Circuit's affirmation of a bench-marking preliminary injunctive relief awarded in a case dealing with constitutional violations suffered by the local fresh milk processors. She was also part of the Practice that achieved the denial of the petition that sought the reversal of a substantial part of said remedy before the United States Supreme Court. Vaquería Tres Monjitas v. Irizarry, 587 F.3d 464 (1st Cir. 2009), rehearing and rehearing en banc denied at 600 F. 3d 1 (1st Cir. 2010), cert. denied at 131 S. Ct. 2441 (2011). During law school, she was a member of the Law School Senate, Research Assistant of Professor Lilia Oquendo de Rivera (Criminal Law), and completed an internship as Law Clerk for Hon. Dora Peñagarícano, of the Puerto Rico Court of Appeals.